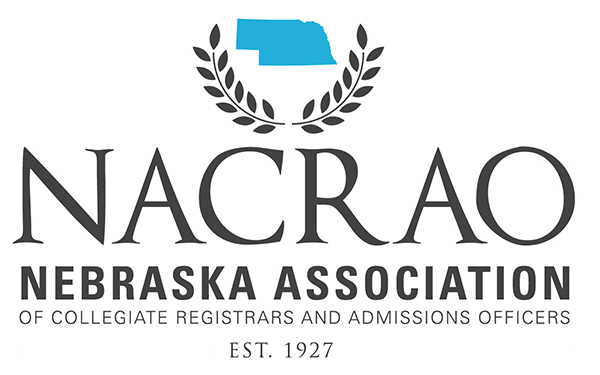 Each year, the NACRAO Fall Conference invites members from across Nebraska to gather and share educational trends in the state. Attendees will have the opportunity to learn from experienced admission and registrar professionals in a variety of sessions, connect with a representative from AACRAO, and network with colleagues from many institutions. Engaged employees are involved in, enthusiastic about and committed to their work and workplace. Learn how to develop engaged teams on your campus. Presenter: Andy Long, McCook Economic Development Corp.
Part 2 - Learn techniques for improving your leadership style, including the tools to guide effective conversations that enhance individual and team performance. Learn about the WNCC partnership between Early College/CollegeNOW! and Admissions departments and how they work with home school students, their families and the local home school association. Are you on-boarding the Math Readiness student into your college? What information do you need? See what we have available to make our Registrar jobs easier. From the cradle to the cubicle, we devote more time to fixing our shortcomings than to developing our strengths. Based on Gallup’s research and techniques – we will explore ways to recognize what you naturally do best – and why it’s important to develop your unique and powerful talents. Learn about how Metro is utilizing TES and got buy-in from the Academics side of the house. I NEED AN ADULT! Oh wait, that’s me…. This is the real-talk about the real life of being a supervisor! You may have had those moments as a supervisor where you feel like you need an adult...and then you remember that you are an adult. This session will share some best practices and strategies of being a supervisor with an open floor discussion on a few topics. It is important to remember that we are all in this together! Immediacy and Student Interactions: Make them like you! The purpose of this session is to discuss research related to interpersonal communication and its impact on student interactions. Specifically, research focused on the topic of immediacy can help admissions counselors develop a better relationship with students they interact with. Safety and awareness while traveling is important. Learn about what it means to be aware of your surroundings, what equipment should be in our vehicles, how to change a flat tire, and other safety measures. Touching on some issues that are in the background or sometimes the forefront of the things we do as registrars…Social Security Numbers, GDPR, FERPA, and effective degree audit processing. Also, how do we keep motivated as we ride the swirling waves around us? Let's work together to build a team of colleagues that are interesting in strengthening their leadership skill set and supporting each other all along the way.